Heusch the global market leader in fleshing and shaving blades announces the implementation of application support for its customers in the tanning industry. Tanners are pressured to lower their costs, improve their environmental responsibility and increase the leather yield per hide/skin. All this requires individual strategies and actions for each tanner. Heusch application support will consult and support the leathermaker in this process. 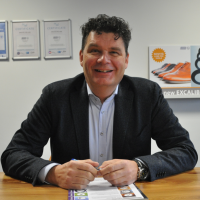 Mr. Joep Nijkamp will spearhead the application support within Heusch. As a graduated leather technician Mr. Nijkamp has more than 30 years experience in the leather industry. Initially he started working in the tannery owned by his family, but later moved on working for several other tanneries. Furthermore he also worked for a decade at chemical companies like Clariant and Stahl, where he served the automotive industry as leather finishing specialist. His lifelong devotion to the leather industry and his proven track record and expertise will help tanners to further improve their fleshing and shaving operations.